I am pleased to announce the Editor’s Choice Article for Biotropica 47(6): Suárez, E., Orndahl, K. and Goodwin, K. (2015), Lava Flows and Moraines as Corridors for Early Plant Colonization of Glacier Forefronts on Tropical Volcanoes. Biotropica, 47: 645–649. The new terrain uncovered by retreating glaciers is creased by moraines and lava flows that provide substrate and serve as corridors for colonizing plants (photo: Esteban Suarez). 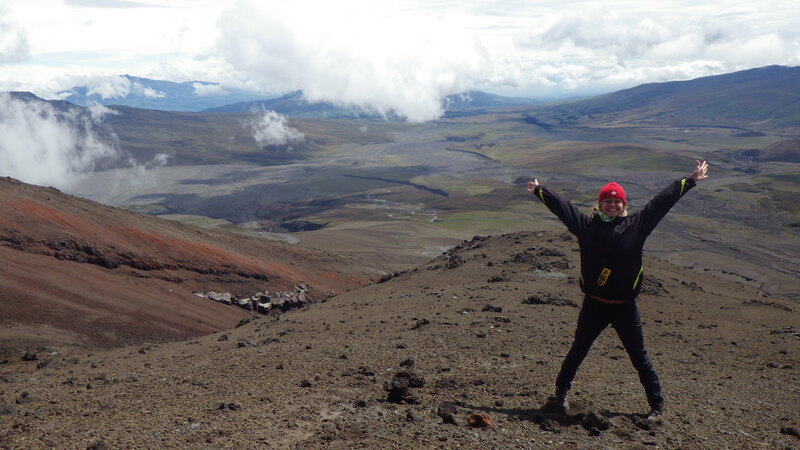 The original idea for this study occurred to me in September 2012, as I came down from the summit of Cotopaxi with a group of international students. Walking slowly, at the back of the group, I could feel in my legs the strain of almost seven hours of hiking these steep slopes. As we reached the end of the glacier, I sat down to remove my crampons and used the break to take-in the expansive view. I had climbed this 5987 m volcano several times before, but still the landscape looked unfamiliar. What until a few years ago was a steep slope covered with snow and ice, has now transformed into a barren terrain crisscrossed by the distinct ridges of old lava flows or the lateral moraines of the disappearing glaciers. In fact, driven by the warmer temperatures produced by climate change, the glaciers of Cotopaxi have lost about 30% of their surface area between 1976 and 1997 (Jordan et al. 2005). And there, among the back-bone of these ridges, I could see life starting to take over in small patches of plants cramped among the rocks in this unlikely landscape, where powerful winds and extreme temperatures (-10 °C to 20 °C on the hottest days) are so common. What species were colonizing these new habitats, and how do they manage to establish and survive in this forbidding landscape? Climate change in mountain ecosystems is a complex phenomenon. It can create new ecological opportunities and open new habitats for stress-tolerant species with high dispersal capabilities, that can respond to the warming conditions in the higher reaches of the mountains. But it could also drive to local extinction other species, which, following the upward trend in temperature, find unsuitable conditions (e.g. lack of appropriate substrate) that precludes their establishment and survival. Thus, as species respond individually and differentially to a changing climate, we are witnessing a rearrangement of the biological community that follows patterns and mechanisms that are still poorly understood. 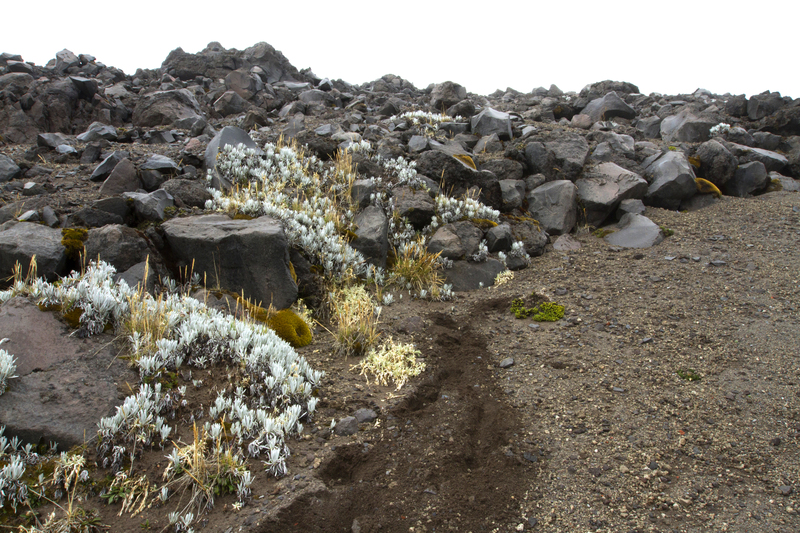 Patches of Senecio nivalis developing on the crevices of a lateral moraine in Cotopaxi volcano (photo: Esteban Suarez). Previous research on the patterns of plant colonization and dynamics in páramo ecosystems (high altitude grasslands of the Northern Andes) have focused on lower altitudes (Sklenar et al. 2010), or on post-agricultural dynamics of the vegetation (Sarmiento et al. 2003, Llambí et al. 2004). Additionally, recent studies have shed light on the role of facilitation as a significant process in shaping plant community structure in these high-altitude environments (Anthelme et al. 2012, Cáceres et al. 2014). With our study, we hoped to expand on this knowledge by assessing if rocky outcrops created by lava flows and glacier moraines could act as corridors facilitating the upward colonization of Tropical glacier forefronts. 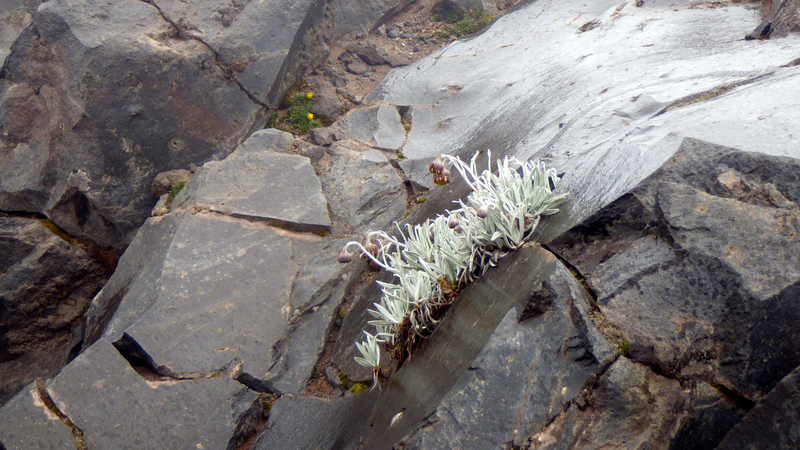 A new patch of Senecio nivalis growing in the cracks of the rocks of an old lava flow (photo: Esteban Suarez). Working at altitudes above 4500 m is challenging and gave us first hand exposure to the harsh conditions in which plants and animals live in this environment. As we move from one ridge to the next, or between altitudes, setting-up transects, our lungs struggle to get enough oxygen. Within minutes we can go from a suffocating heat that burns any uncovered skin, to sub-zero temperatures and extreme winds that blast sand into our face as we tried to stay on our feet. This newly exposed ground is also poor and offers no protection or organic substrate to potential colonizers. This is probably why a vast majority of the plants colonizing these slopes were found in the base or interstices of the rocks of the lava flows and moraines that run down the mountain. Essentially, this pattern means that the upward colonization of glacier forefronts in these Tropical volcanoes will be influenced by the availability of lava flows and moraines that create a sort of “altitudinal” highway. Along these avenues, seeds that have been blown by the wind can establish at higher altitudes, in the safe sites created by the complex micro-topography of the rocky ridges. In contrast, those that fall in the barren fields are soon blown by the wind or dislodged by the thaw and freeze process that constantly affects these premature soils. This observation is supported by the patterns that we found in Pichincha, a volcano that lost its glaciers more than a century ago. Despite the much longer time, the upper reach of this mountain still show the clear pattern where the ridges of lava flows that spilled from the crater, have higher percent plant coverage and plant species richness than the surrounding slopes. Nototriche sp. a common species in the upper slopes of Pichincha volcano (photo: Esteban Suarez). In a sense, working in this forbidding landscape brought us back to a past time in science, where most data was generated through simple measurements and observations. 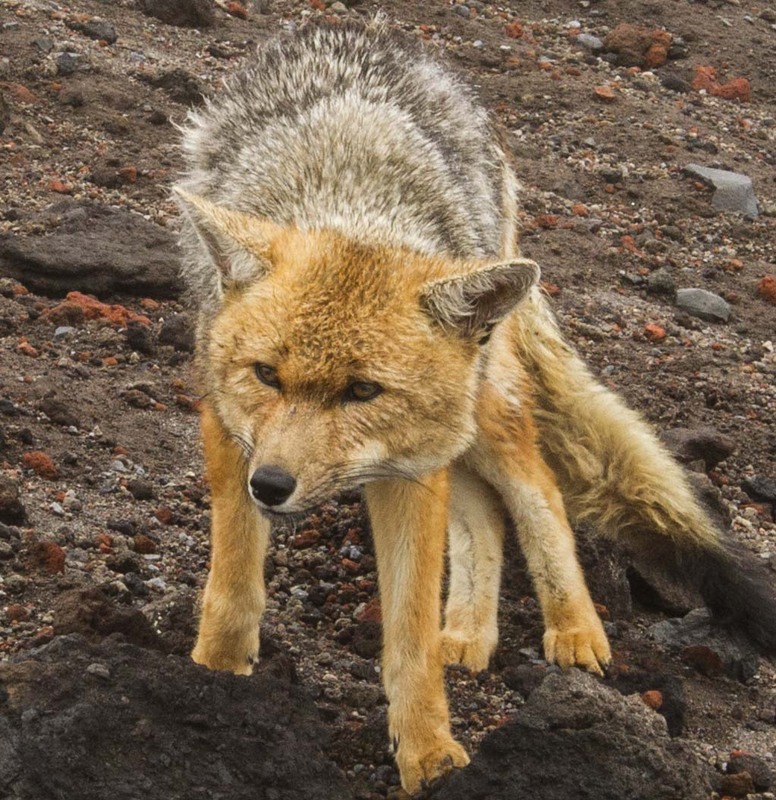 Our only attempt at using “sophisticated technology” was over after an Andean fox (Lycalopex culpaeus) ate the cables of several data loggers we had installed to measure potential temperature differences between the rocky ridges and their abutting slopes. At the same time, through these simple measurements, we took a brief glimpse at a new and necessary frontier that is developing in Tropical science: understanding the mechanisms that will control the response of species to the changing conditions imposed by changing climates. We hope you enjoy this paper! 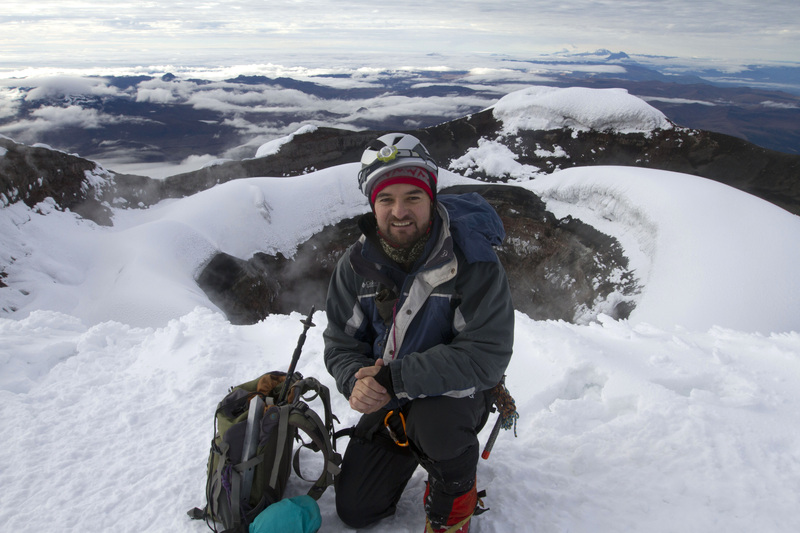 Esteban Suarez in the summit of Cotopaxi (photo: Carlos Bueno). University of North Carolina Chapel Hill, Chapel Hill, NC, U.S.A.
U.S. Department of the Interior, Bureau of Land Management, Fairbanks District Office, Fairbanks, AK, U.S.A.
Katie Orndhall enjoying the starting snow-fall and watching over the Andean fox (photo: Katie Goodwin). 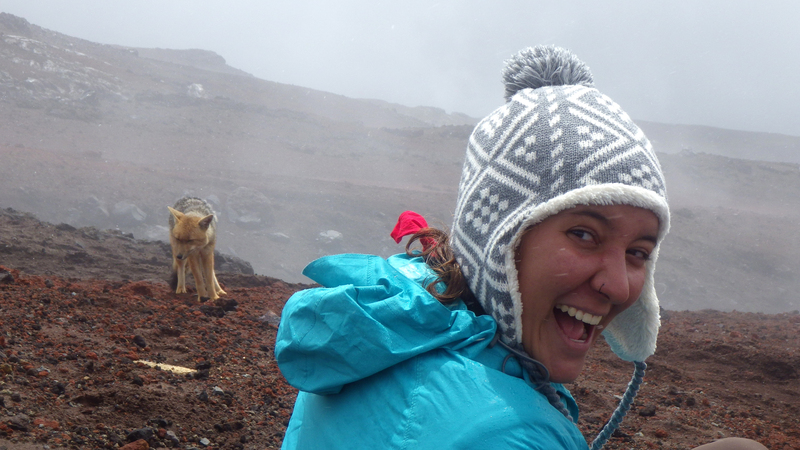 Katie Goodwin getting ready for fieldwork at 4700 m in Cotopaxi (photo: Katie Orndhall). Anthelme, F., B. Buendia, C. Mazoyer, and O. Dangles. 2012. Unexpected mechanisms sustain the stress gradient hypothesis in a tropical alpine environment. Journal of Vegetation Science 23: 62-72. Cáceres, Y., L. D. Llambí, and F. Rada. 2014. Shrubs as foundation species in a high tropical alpine ecosystem: a multi-scale analysis of plant spatial interactions. Plant Ecology and Diversity. Jordan, E., L. Ungerechts, B. Cáceres, A. Peñafiel, and B. Francou. 2005. Estimation by photogrammetry of the glacier recession on the Cotopaxi Volcano (Ecuador) between 1956 and 1997. Hydrological Sciences Journal 50: 949-961. Llambí, L., R. Law, and A. Hodge. 2004. Temporal changes in local spatial structure of late-successional species: establishment of an Andean caulescent rosette plant. Journal of Ecology 92: 122-131. Sarmiento, L., L. D. Llambi, A. Escalona, and N. Marquez. 2003. Vegetation patterns, regeneration rates and divergence in an old-field succession of the high tropical Andes. Plant Ecology 166: 63-74. Sklenar, P., P. Kovar, Z. Palice, D. Stancik, and Z. Soldan. 2010. 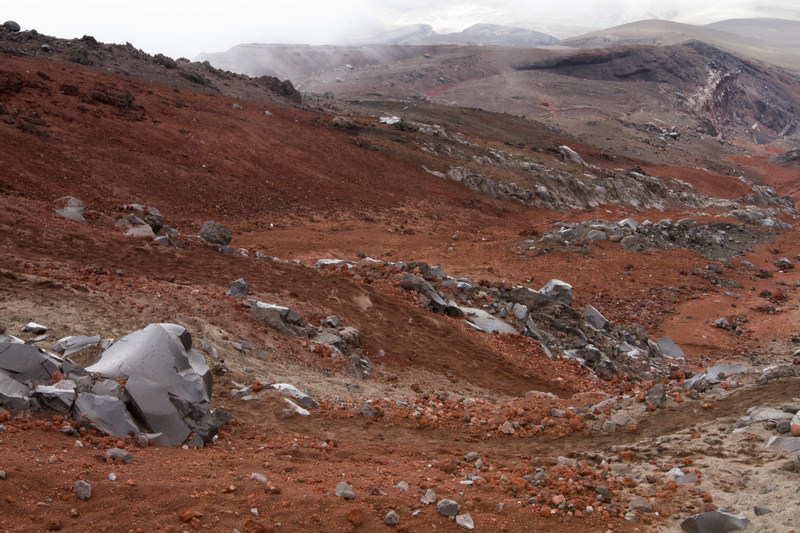 Primary succession of high-altitude Andean vegetation on lahars of Volcan Cotopaxi, Ecuador. Phytocoenologia 40: 15-28. Andean Fox (Lycalopex culpaeus). 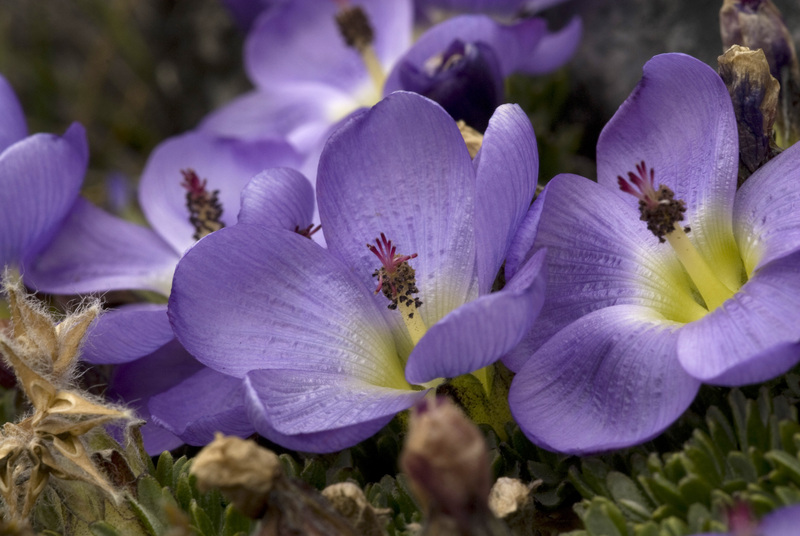 A common species in the higher reaches of Andean volcanoes. This specimen decided to dine on three of our temperature data loggers. (photo: Katie Orndhall and Katie Goodwin).